Captain Orlan Jackman leads London City Royals back up to fourth in the BBL Championship. 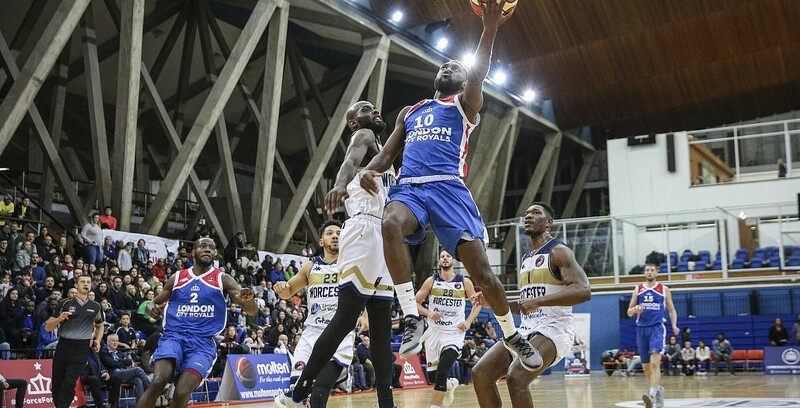 London City Royals bounced back from consecutive defeats to beat Worcester Wolves 91-78 at Crystal Palace, jumping back up two places to fourth in the BBL Championship. The win saw Royals complete a season sweep of the Wolves, who had previously become the first team to beat them at Crystal Palace in the first round of the BBL Cup. Turning point – After a close start, a 15-2 opening to the second stanza proved decisive as Wolves weren’t allowed a field goal for more than five minutes, while Matthew Bryan-Amaning scored seven and Toluwase added six points to make the score 41-24. From there, the lead was never in single figures, peaking at 84-56 on a highlight dunk from AJ Roberts. ✈️@Aj_robs takes to the air. Key stat – Royals proved much more effective than their visitors on the inside, scoring 38 points in the paint and shooting 55% on the interior, with Jackman 6-8 while Sam and Josh Rogers were both a perfect 3-3 off the bench. Game hero – Captain Orlan Jackman stood out for the hosts as he led the scoring with 18 points, shooting 66% from the field, and grabbing 10 rebounds to complete a double-double.